A website is one of the most important ways to reach new customers and generate more sales. As a result, it’s often the first contact you have with your potential customers and enables them to find out more about you. So it’s vital that you project the right image! It needs to be an attractive representation of who you are. The designers at Hairy Goat Design have the advantage of many years experience in print and web design. 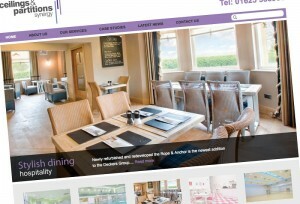 Our flair for design translates easily into creative and effective websites. Hairy Goat Design can cater for those who just want a simple few pages for their website, right up to a fully functioned eCommerce site, with extensive back office, stock levels and automatic emails.